Experiencing the future in Paso Robles? On a recent Saturday, with our better halves busy doing other things, we were left unattended. With no supervision in sight and rather than a few games of two up, we decided a quick trip to Paso Robles was in order. 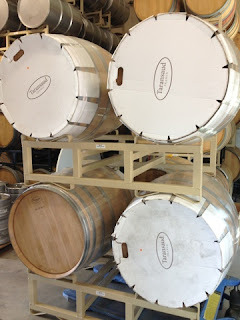 Now we love Paso Robles, and nearly always enjoy the wines and experiences at the tasting rooms. While we have not been to all the tasting rooms, we have hit a pretty good cross section (about half) from the large to the small and a lot in between. Why do you love Paso so much you may ask? 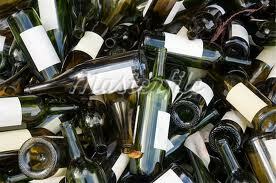 Well first off, the wines are on average of great quality at reasonable prices. Typically half of the cost in Napa and in some cases just as good. 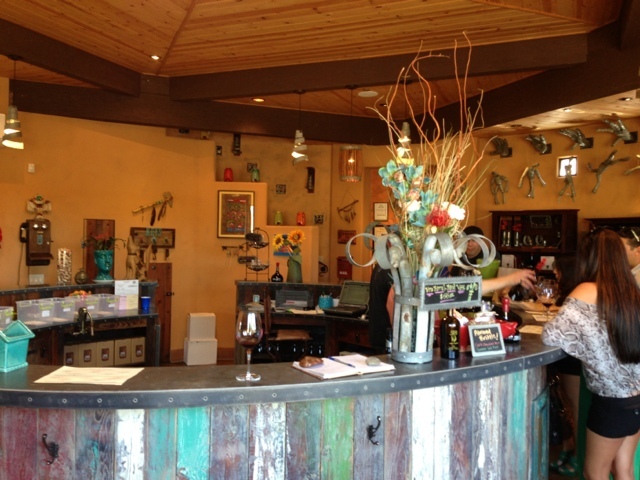 The people in the tasting rooms are generally very friendly and welcoming, and fairly well versed on the wines they pour and vineyards that the grapes come from. The tasting fees are minimal and are easily recovered with a bottle purchase. Things never stay the same, now here comes the BUT! Things seem to be changing and it's not just the lack of water (this is another story). Things are always changing you say. True, but things in the tasting rooms of Paso seem to be changing in a not so typical welcoming Paso way and not for the better. What are whingeing about? Lets just look at our recent trip experience. Winery 1. Their website say's $10 tasting and keep the etched glass. We were not offered to keep the glass (not that we wanted them) and the tasting fee was not returned when each of us purchased a bottle. The conversation, even when we tried to engage, was pretty much limited to reciting the tasting notes and some minimal info about the winery when pushed for a bit more info. This was a winery that is usually recommended as a fun place to go and its not like they were super busy, we were just two of four in the tasting room. Wines were $35 and up to $60. 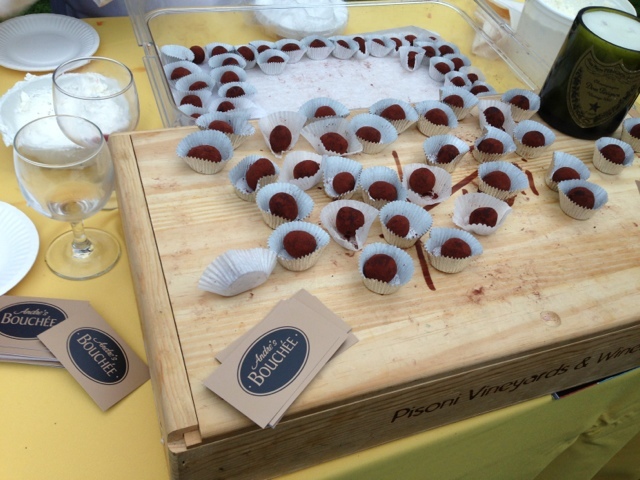 Not a bad experience just an indifferent one and not what we have come to expect from Paso. Wont be going back anytime in the near future. Average wines for inflated prices and no welcoming feeling. Winery 2. Tasting fee was $20 each and if each of us purchased $50 worth of wine it was credited back. Problem was only a couple wines who's prices started in the $20's with most in the upper $30's into the $40's, so you realistically needed to spend nearly $60 to to get your tasting fee back. Again not much conversation or engagement just this is our Special Zin with aromas of vanilla, sage, nettle, and plum make up the delicate nose. It has a velvety medium body, bing cherry are followed by toasted hazelnuts and lingering Kona coffee notes, and then off to put the bottle away. Upon noticing our empty glasses it was a repeat performance. We did get some conversation at one point but there was a lack of enthusiasm and an impression of only marginal interest in providing a good experience. There is no mention of the tasting fee credit conditions on their website. The website simply states a $10 fee credited upon purchase. Sure we could argue the printed one should be upheld, but that's the point, we should not have to. May go back after a while or if invited as wine was good and maybe the server was having an off day. We took a break and had some lunch and contemplated our days experience so far and decided to move to the other end of the region and try again. Winery 3. The website only notes that members taste free. There was a $10 fee which was returned with a simple purchase and at least here, there was engaging conversation. There was also stories about the winemaker, the property, and the different vineyards and just like that our faith in Paso was returning. 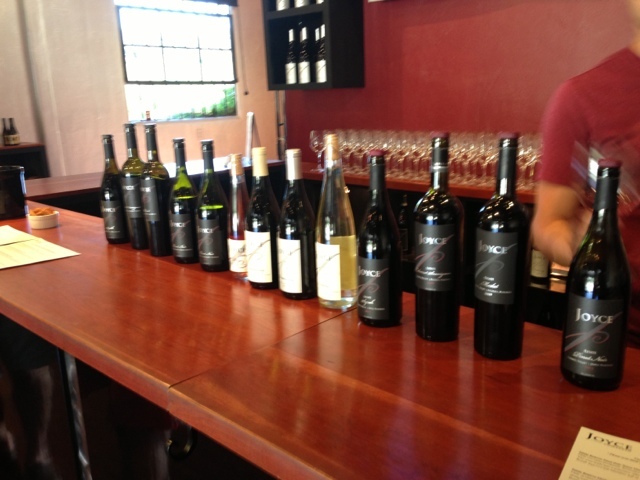 The price point of the wines was $20 - $60 with most being in the mid to upper $20 range . 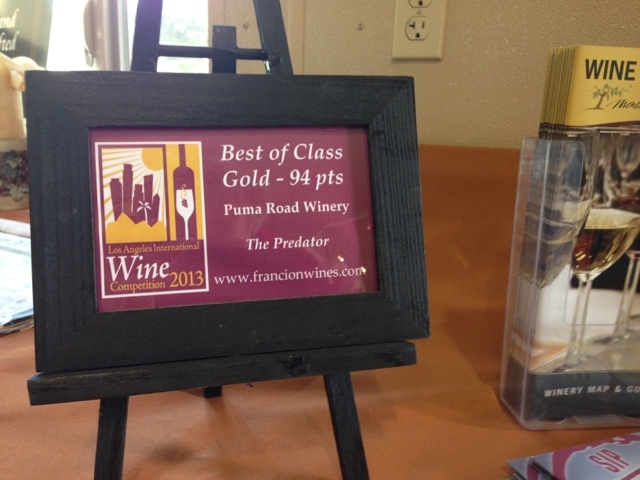 Good pricing for good wines and an enjoyable experience just as we are used to in Paso. As an added bonus we were even treated to a Cider tasting. Will be going back. Nice wines at reasonable prices and that welcome feeling that Paso is renown for. With our mood improved it was time for one last stop before an early dinner. Winery 4. We were ready to try somewhere new again, and so in to the first random place we passed heading back into town it was. With no idea what we were in for we checked the website prior to walking thru the front door. No mention of tasting fees. Turns out its $10 to taste and you get to keep the logo'ed dirty glass. Wines were from disappointing 3-4, to ok 5-6 and someone forgot to have the price points reflect this. $25 for disappointing and $50 for ok across the range. Seemed more like a marketing exercise than a winery. Will not be going back in a hurry. Below average, and average wines at vastly inflated prices. Now you may feel it is the tasting fee we are complaining about, but that's not the case. Tasting fee's are a reality of the industry, are often fair (cover cost of pours), and an encouragement to have you purchase at least a bottle per tasting (if you like you should). It was the the way we were engaged, or not, and the inability or excessive purchases required to have the tasting credited that was disappointing, and the feeling that they had our money so whatever. When you are two of only four in a tasting room you expect a little more than quoting the tasting notes, and when answering questions a little more than "I don't know, I should probably find that out". With somewhere over 170 wineries in the Paso Robles area there are bound to be those you are not going to be thrilled with, or that are maybe having an off day. But having tasted in Paso Robles for over twenty years, and having so few bad experiences, to get three in one trip was a shock. Particularly when two of the three are well respected tasting rooms. These experiences were reminiscent of some Napa ones we have had, indifferent attitude, over charging for tasting, overpriced wines and basically providing a lackluster experience. While generally we love Napa we have had a higher share of disappointments there on average. This really made us think, is Paso leaving its no fuss no ponce attitude behind in favor of a more Napa style attitude and atmosphere? We wonder, are the golden down home feel days disappearing? Is all the success going to it's head? We hope not, and we hope this was just an out of character day, but we will be keeping a closer eye on this and hope we don't need to call anyone out for an undervalue experience. A short montage of our blind tasting Adventure for Merlot Month. Enjoy! Earlier this year while exploring the Santa Clara wineries we were lucky enough to come across a very unique outdoor tasting room. 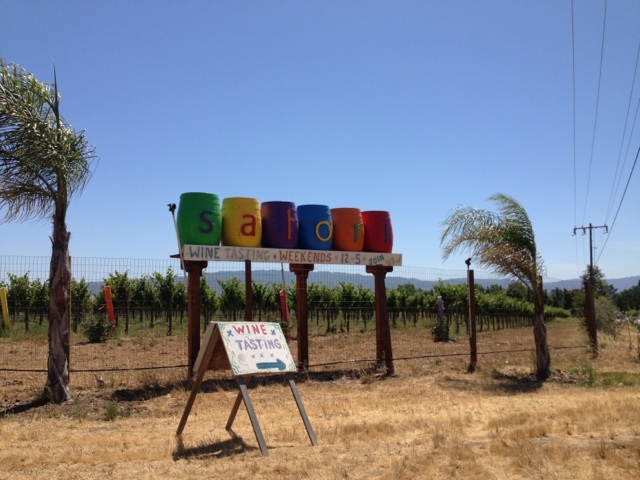 The Satori tasting room is a cross between a Jimmy Buffet, Jamaican Island themed resort. 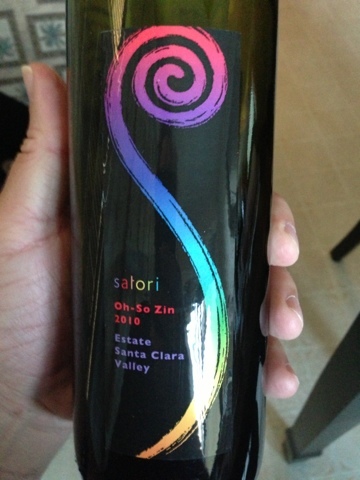 While tasting their wine, the 2010 Oh-So-Zin, Santa Clara Valley Estate, caught our attention. A bottle was purchased and stashed in the wine fridge. Well earlier this week it was removed from the fridge, the cork pulled and a couple glasses poured while preparing spicy BBQ chicken. During dinner the rest was consumed. It was a great pairing (purely by chance) that was thoroughly enjoyed. Just outside the **** range at $28 it was a very nice drinking Zinfandel and rates a 6+. Satori is a fun place to go taste and some nice wines at reasonable prices. Go on by and experience the relaxed vibe at this fun and unique tasting area and tell em we sent you! 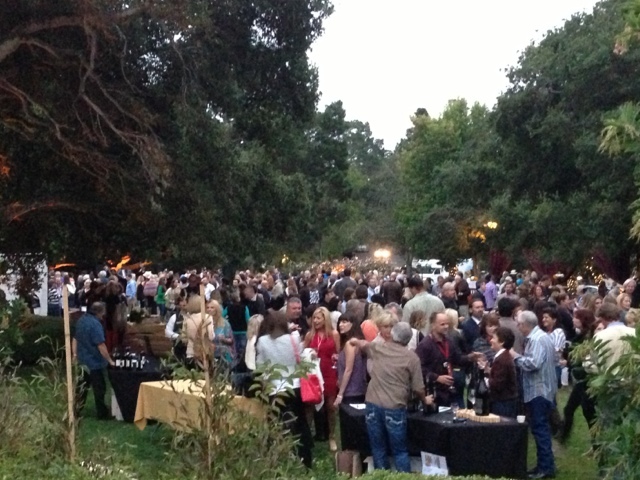 There are many good wine events. Some even benefit worthy charities, but very few manage to create the same feel of community style fun that this party in the park managed to achieve. There we were, on an overcast, mild Thursday evening watching Rich Pepe welcoming guests to this event that has his hand all over it. Rich should be proud of his staff, of the event, and how it all went down. Having prepurchased their tickets for a scant $30, the guests were there ready to enjoy at 5 sharp and the influx built steadily until about 7pm when the place was packed with happy party goers. 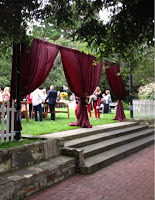 With a great band and various singers entertaining, local fashion flair provided by Maddox Haberdasher,a Red Carpet Photo Op, the wonderful wines and some amazing small bites this was an evening to be remembered. 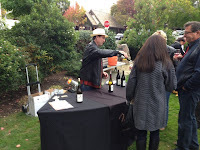 Wineries and Tasting Rooms: Galante, Caracioli, Scheid, Manzoni, Figge, Vino Napoli, Blair, Shale Canyon, De Tierra, Trio Carmel, Silvestri and Wrath were all pouring. Small bites provided by; Vesuvio, Little Napoli, Yafa, Basil, La Balena, Andre's Bouchee, Garden Cafe, Cypress Inn, Christophers, Pastries + Petals and the Carmel Bakery. Looking down the road, there is another event at the Devondorf Park later this year, Carmel by the Glass in December. It will probably be a little cooler which means you can wear that new coat you want for Christmas. Peoples Wine Revolution at the Cricket. We recently had the pleasure to taste a number of small producers at The Wines of Danger tasting event, at the Press Club in San Francisco. 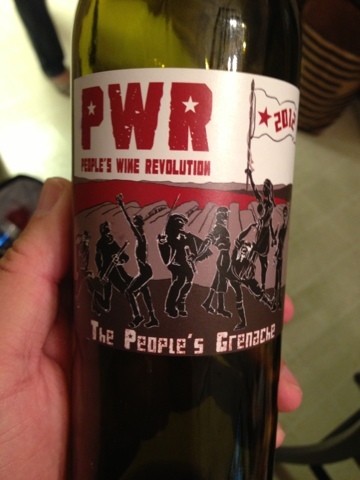 One that caught our attention was PWR (Peoples Wine Revolution). Having done the usual exchange of information, and hope to see you soons, we were thrilled when Matt called and took us up on our request to get together for a chat. Dropping everything to put a time and place together before the madness of harvest, we came to an agreed upon schedule and place. To shine a little light on the kind of person Matt is, knowing our southern hemisphere upbringing he arranged to meet at the Calistoga Fair Grounds. 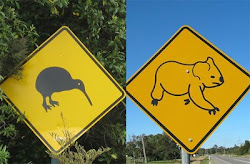 What does that have to do with your southern hemisphere upbringing you ask? Well, there just happened to be a cricket match occurring that day. 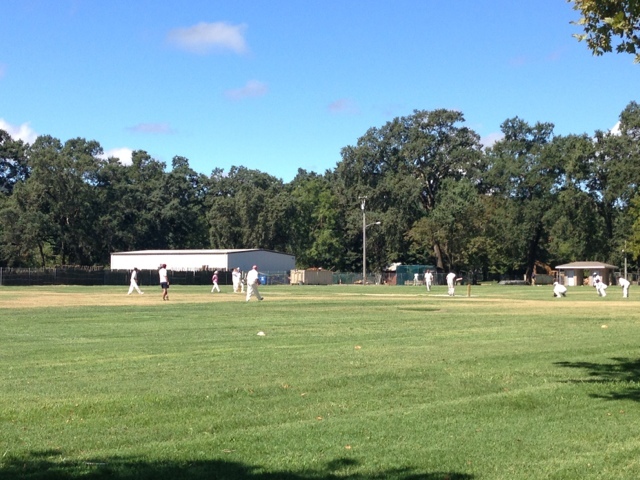 There we were, sitting under the shade of a tree watching some entertaining cricket between the NVCC vs Caribbean All-Stars complete with music and dancing cricketers, and enjoying good wine and conversation. Thoughtful addition to our wine related chat and a general nice touch Matt (he even brought some almonds to snack on). Some background -Husband and Wife team Matt Reid and Marcy Webb conceived The People’s Wine Revolution with a goal of bringing great wines to all at reasonable prices. At first, their goal was to make wines every bit as good as those they made during their day jobs, but at a fraction of the price. PWR is now their full-time pursuit. They are also the proud parents of a four-year-old daughter, Beatrix. Matt completed the UC-Davis Viticulture & Enology M.S. program in 2003. He has been the winemaker at Seavey Vineyard and Quixote Winery, and the Custom Crush Winemaker at Failla Wines, where he was the hands-on winemaker for brands such as Drinkward-Peschon, Gallica and Bello Family. 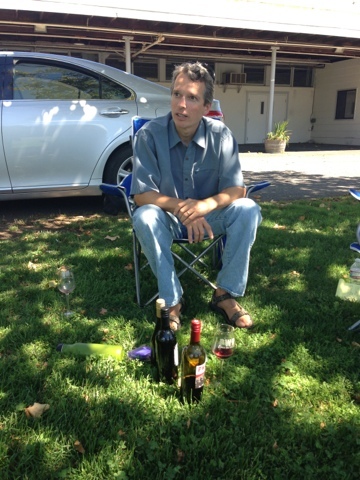 He has just now taken a position as interim winemaker at Benessere Winery. Matt also does consulting for Burgess Cellars and Greggarious among others (so if you need some consulting, give him a call). Marcy’s background is public health (epidemiology), but her quick, scientific mind has led to positions at The Napa Wine Company, Franciscan and Chalk Hill. 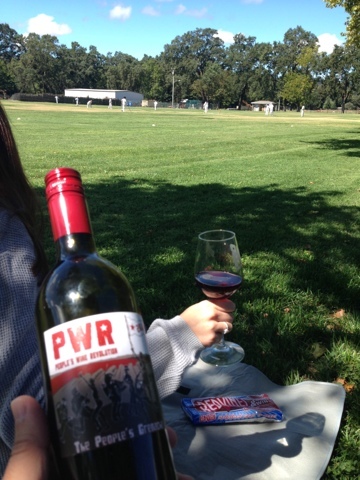 With a cricket match in the background, we chat with Matt Reid of PWR. WW- What is your quest? MR- We believe that everybody deserves to drink good wine. We are striving to make great wine that is affordable for all. Ruling class wine at working class prices! WW- When did you first have an interest in wine and how did that manifest itself? MR- As a child I was introduced to wine by my father. He was into wine's from all over the world and if I was good I got a taste. At first, he would water it down but over time I advocated for smaller volumes without water. I always looked forward to what the next time would bring. Tasting all those different wines at an early age planted seeds that carry over to today in that I am not afraid of different varieties and styles. 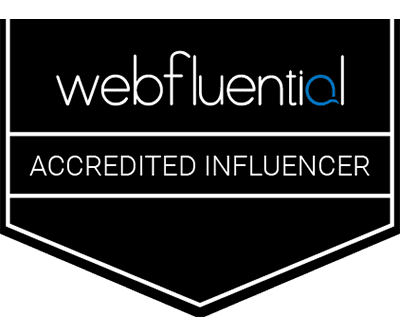 WW- How did you get started? 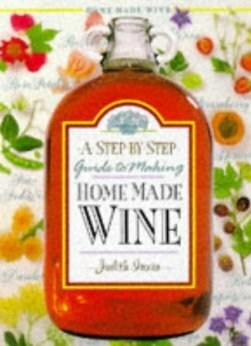 MR- I read a book called ' Step-by-Step Homemade Wine by Judith Irwin. It really engaged the journey. I made a lot of the recipes from the book. Some were not so good but some were, and those good ones lead to even more attempts. WW- What separates you from other winemakers? MR- I'm not sure that I am much different. As winemakers, we are all trying to do exciting great things. Perhaps my willingness to do what it takes for each individual vintage rather than just follow a previously used recipe. WW- We all have quirks. What would your co-workers say yours is? MR- They would laugh and say 'he thinks he likes to clean out tanks'. Which I have done and enjoyed, but possibly not if it was my primary job. But generally I do enjoy almost everything about the process. WW- If you were not doing this what would you be doing? MR- I love working outdoors. I would probably be working towards rehabilitating and restoring some tidal flats and estuaries or a beach head. WW-What is your favorite color? 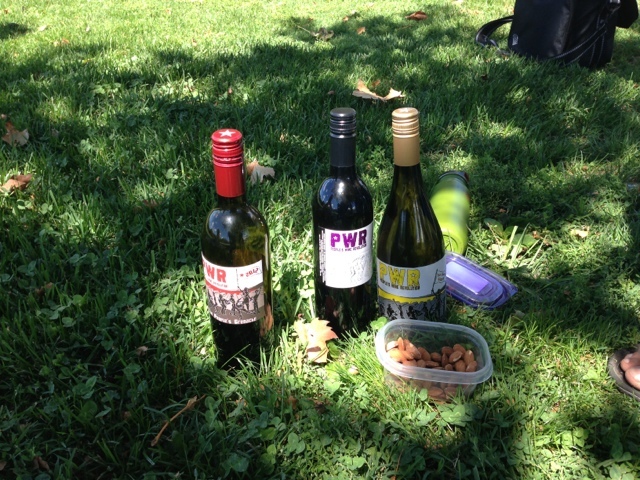 We want to thank Matt for his time, for his thoughtful selection of meeting location and for sharing his PWR 2012 The Peoples Grenache as we had a nice little chin wag. With production at about 750 cases, finding PWR wines is not easy, but one sure way is to go to the website and order a case. It's about what the difference is between ordering a split of Champagne and a magnum of Champagne. The magnum is actually eight times larger than the split. What, wait a minute your thinking, is that some kind of new math? Traditionally, wine is bottled in ten different sizes, and the names can get rather confusing. There are also a number of shapes, but that’s another story. A standard bottle is 750 ml, or ¾ of a liter (25 and a bit fluid oz). A half-bottle, also known as a demi, is pretty straightforward, while a split is half of that, or ¼ of a standard bottle. The magnum is the equivalent of two standard bottles, while larger sizes are named typically after ancient kings and biblical characters, just to make sure there is no mathematical or logical relationship between size and name. There are also some differences between regions as to what bottle sizes are called just to confuse the issue. The same name may be used to refer to different size bottles in different regions of France. As one example, a Jeroboam in Burgundy and Champagne, is often called a Double Magnum in Bordeaux wine bottle sizes. A Jeroboam in Bordeaux Wine bottle size contains an extra two standard bottles of wine. Are you good and confused yet? But here is a very basic list of ten sizes (probably only need to remember 2-6) that we believe are the most common and what they are generally called on the street in the US or at least that’s what we have been told (right or wrong). Great range to taste from. We had a little heat spell the other day here in the Monterey area, and as much as I like a nice white wine, I find I rarely open a bottle at home even when its warm out. If I do, it’s usually for a guest and not just for me to knock back. With the aforementioned hot spell opening a bottle of white just seemed like the right thing for the evening. Having that though, and heading for the wine fridge, it occurred to me that there might not be one ready to drink. Bloody Nora, I just made a choice and one may not be available. As it turned out I need not have got all stroppy as there was a lovely surprise ready and waiting. 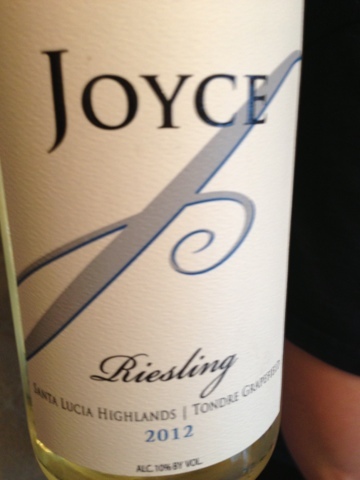 A bottle of 2012 Joyce Riesling from Joyce Vineyards in Carmel Valley. This wine was nice and crisp and really hit the spot. This mouthwatering Riesling is unlike most California Rieslings that are a little on the sweet side. Although at first sip there seems to be a touch of sweetness due to the nice fruit, but it really is at most off dry, which is maybe what highlights the tartness of the citrus flavors of grapefruits and limes. Pretty well balanced with a nice bright finish and some complexity, it’s a wonderful drop to get the evening started, or in this case for the evening. 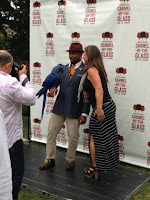 A 7 and **** on the official WineWalkabout rating scale. Go by the tasting room and taste their range and tell em we sent you. We 'recommend' you do. Having recently tasted a Monterey wine that really got our attention, we thought it was time to find out who was behind it and how he got here. 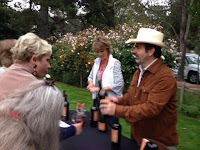 The wine was from Puma Road on the River Road Wine Trail in Monterey, and the winemaker is David Coventry. Dave believes that making wine is a vocation and that it tends to find the individual and not the other way around. David grew up in California but was lucky enough, or unlucky to spend his high school years at an all boys boarding school in Massachusetts. Unlucky as it was all boys, but lucky in that there he learn how to be self sufficient, which was a big advantage when he returned to California and started college at UCSC. David received a B.S. in Biology w / minors in Endocrinology, Immunology and Neurology. Out of college David worked as a protein chemist making prescription drugs. Not too far down the road he found himself managing a rock band (taking drugs for a living). It was during this time another valuable life lesson was learned. No excuses and anything is possible, as the show must go on. Kind of like harvest and crush, oh and bottling and, well you get the picture. Comparing two identical Pinot Noir. One with Cork and one with Cap. To continue to learn something new. To take the lessons of one vintage and apply them to the next and continue to make better and better wine that are recognized for their integrity and quality. When did you first have an interest in wine? During my senior year in college (was 21) I started going to the wine shops in Santa Cruz and searching through their older stock looking for gems. I even got to purchase some at the original price as marked in pencil on the bottles. A second major wine life event was in 1996 when working for the rock band and living in San Francisco I went to a significant tasting event. The tasting was of the best wines of 1994 held at Mister Liquor. 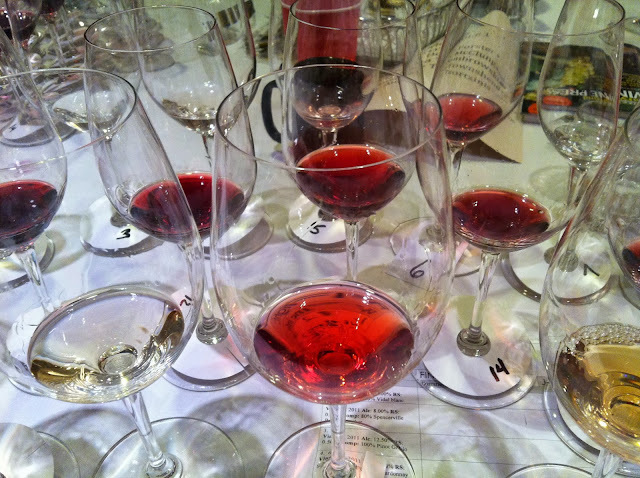 Six of the top wines were poured. Wine of the year Beringer Chardonnay, a Broadley Pinot from Oregon, Screaming Eagle Cabernet and a Zind-Humbrecht Vendage Tardive Riesling. 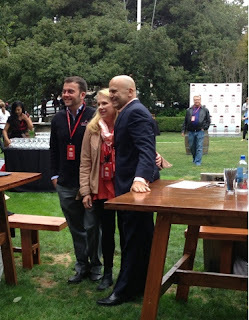 Being there and tasting these amazing wines was a lightning strike. At the end of a tour with the band, I met the assistant winemaker for Chalone. As we talked, he was mentioning that he was not looking forward to returning to work, as all this lab work was there waiting for him to get started on. With my back ground, and time off on the way I said 'I'm on my way back to California, how about I help you.' There you have it, my first job in the wine industry. 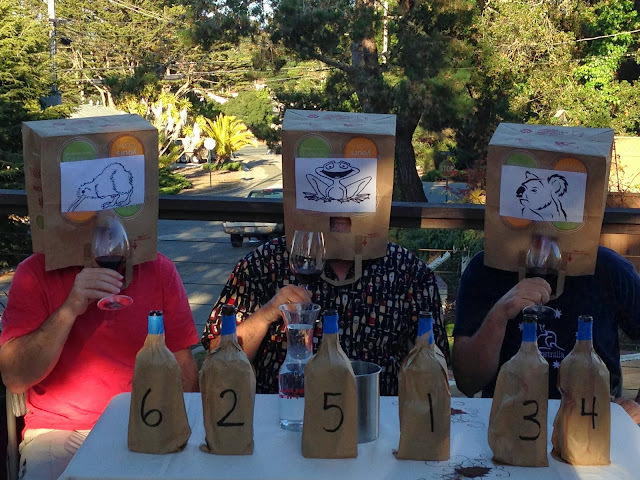 What separates you from other winemakers? I think partly my sense of balance. Also, the time in the vineyard and using my five senses throughout the process from vineyard to bottle. In some ways, making wine is like rearing children in that if you don't take care of them in the beginning it usually does not end well. Like a good parent you need to know when to intervene and when to just pull back. Again, back to finding that balance. We all have quirks. What would your co-workers say are yours? Most would say that I am one goofy M___ F____! The others would probably say that I tend to enjoy some chaos and trying to tame it. If you were not being a winemaker, what would you be doing? I like to make people laugh so probably would be a stand-up comedian. Thanks to Dave for taking time out of his day to chat and share while enjoying some of his creations. Look, if you are in the Monterey area, go on by and have a taste of Dave's wine at Puma Road tasting room. We 'recommend' you do.